We apologize for our absence of posts these past few weeks.We were taking a holiday hiatus because things caught up with both of us. Sorry! However, buckle your seat belts because 2016 is going to GREAT for the Flour Power Girls. We have a whole lineup of incredible posts ready for you over the next few weeks. This year, I really want to get more involved with savory things. My parents would DEFINITELY appreciate not having to cook dinner every night, and I get excited just thinking about the whole new world of recipes that dinner, lunch and meals that don’t involve baked goods bring to the table. I received a few top notch cookbooks this year, including The Sugar Hit! by one of my all-time favorite bloggers, Sarah, Veganomicon by Isa Moskowitz and Terry Romero, and Voracious by Cara Nicoletti. I am so psyched to cook from them! Yay! And on to the recipe. We’re kicking off our new savory section with this cream-sauce pasta recipe. Get ready, because what I am about to tell you might shock you. DISCLAIMER: Flour Power Girls cannot be held legally responsible for your actions after reading the following sentence. This super-thick, creamy pasta has NO CREAM. Yes. You can laugh in disbelief, but it is 110% true. It is so so fast, with minimal prep, and the results are incredible. Trust me. This pasta tastes indulgent and rich, but definitely doesn’t come close to the foooooood cooooooma stage. In fact, it’s relatively light. 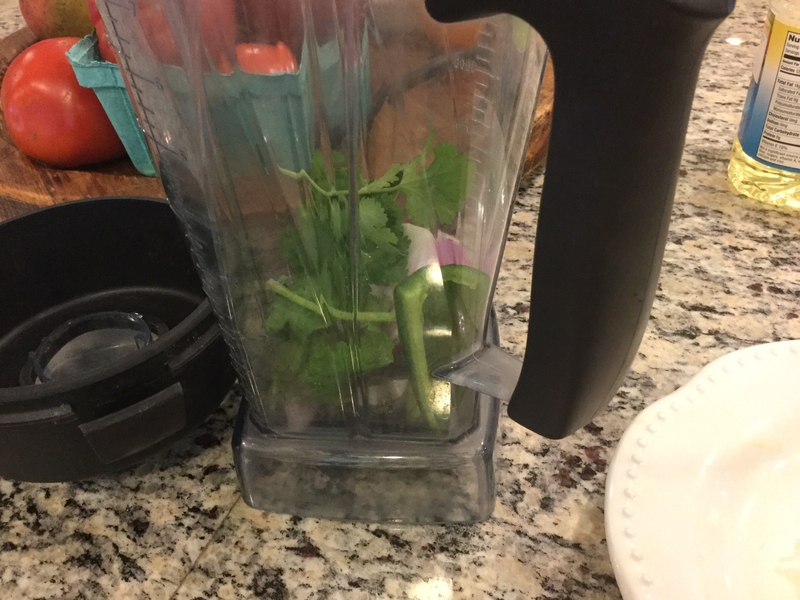 It has some heat, refreshing lemon, lean protein, and healthy greens. It may just be the perfect meal. Creamy Lemon Pasta with Chicken and Tomatoes. Combine spices and 1/4 teaspoon pepper flakes and gently dredge chicken in spice mixture. Cook in 1 tablespoon of oil in a nonstick pan over medium heat. Flip after 3 minutes or so, developing a nice char. Transfer to a baking sheet, and bake for about 25 minutes, until chicken is fully cooked (test it please!). Let cool and cut into bite-size pieces. Cook pasta according to package directions, and drain, reserving 2 tablespoons of pasta water. In pasta pot, cook garlic in remaining 2 tablespoons of oil and remaining pepper flakes. Add lemon juice, greek yogurt and pasta water. Once the sauce has thickened slightly, and greek yogurt has melted, add chicken, pasta and Parmesan. Mix well. Once the cheese has melted, add arugula/spinach and tomatoes. Combine and let wilt. Hello baking friends! Coming fresh from the Hingham kitchen, you have… French bread! This bread is perfectly paired with butter, cheese, and everything in between! You can grill the bread and put butter on it for dinner, or just PB & J for a yummy sandwich! I made this bread today because recently my dad has been asking me to try making bread more. We have a bread machine, but sometimes it’s just easier to go basic. So, I give you easy French bread! This bread is just so yummy! You really can do anything with it! Although this bread does take quite a while, it is fairly simple. It’s perfect on a warm summer’s night or a chilly winter morning. Yum! Overall, this bread was a success! My dad loved it, and he even put some garlic and butter on it to make garlic bread! So Good! This is a variation of Chew Out Loud’s Crusty French Bread Recipe made by Eleanor in the Hingham Kitchen! Combine flour, yeast, salt, and sugar in a large bowl. Hand whisk until well combined. Stir in the warm water gradually, until dough forms. The dough should resemble a smooth texture, but not be too sticky. Add flour or water until it resembles this teaspoon, roughly 1 TB at a time. Place dough on a lightly floured surface and knead for about 10 minutes. Roll dough into a ball, and place in a lightly oiled bowl. * Cover bowl with saran wrap and place in a warm, draft-free place* for about 30-60. The dough should be doubled in size by now. Take the dough out of the bowl and place back onto the lightly floured surface. Pound the dough down and divide in half. Let them sit for 10 minutes, covered. Roll out dough into the shape of your desire (I made one long loaf, and one round-ish rectangle). 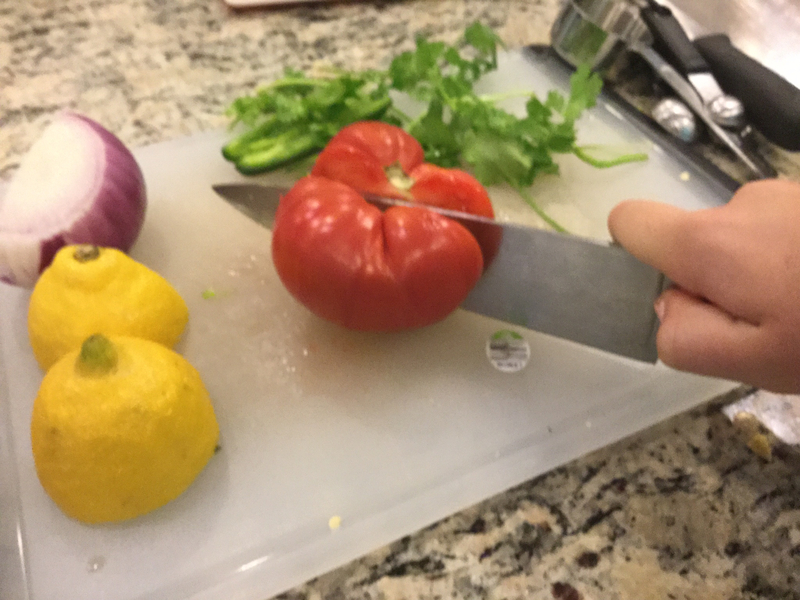 Roll your shape lengthwise, and moisten the edges with water. Make sure the edges are sealed. Line a baking sheet with parchment paper, or a silicone baking mat. Place loaves seam side down on the sheet. If they look sticky, little sprinkle them with flour. Cut diagonal slits so you can allow for the steam to rise in the oven. Brush loaves with the egg/water mixture. Bake for 15 minutes. Brush the loaves with the egg/water mixture again, and bake for another 15 minutes, or until the bread looks done. Ta-Da! You have completed delicious French bread! *1. Oil the bowl with vegetable oil, olive oil, or melted coconut oil. *2. Places include: oven turned off, microwave, and above the refrigerator. *3. A pan of water below the bread will give the bread a golden crispy crust with a soft inside. Hi Fellow Bakers! Sorry for not posting last week, we have been VERY busy! So from now on, we will be trying to post on Thursdays. Yesterday was my first day of school, ugh. I wish we could have summer all year long, NO WINTER! After last year, I’m so sick of the cold and snow and snow and snow and snow!!!! UGH! Anyway, let’s get to baking! 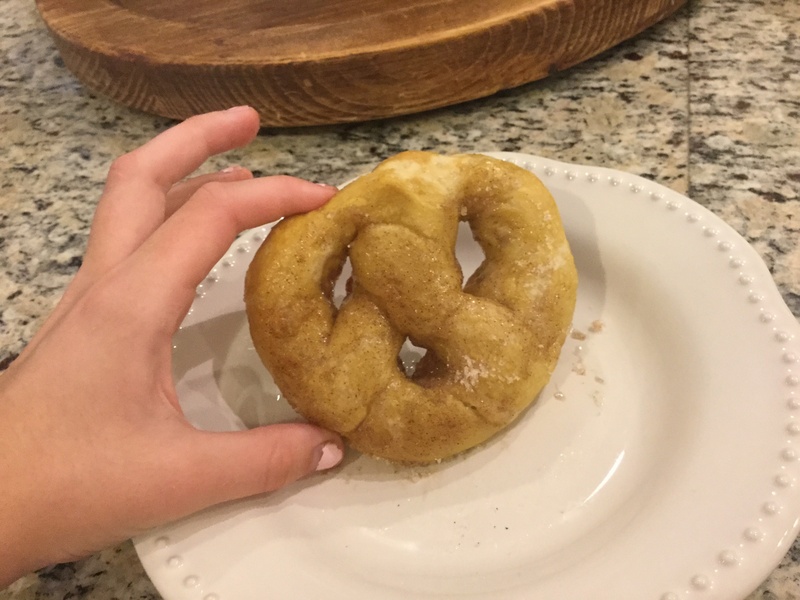 Today, I have for you Feels Like Fall Soft Pretzels! These pretzels are soooooo delicious that they were gone within a day. They are just like your favorite store-bought ones, but like 10x better! 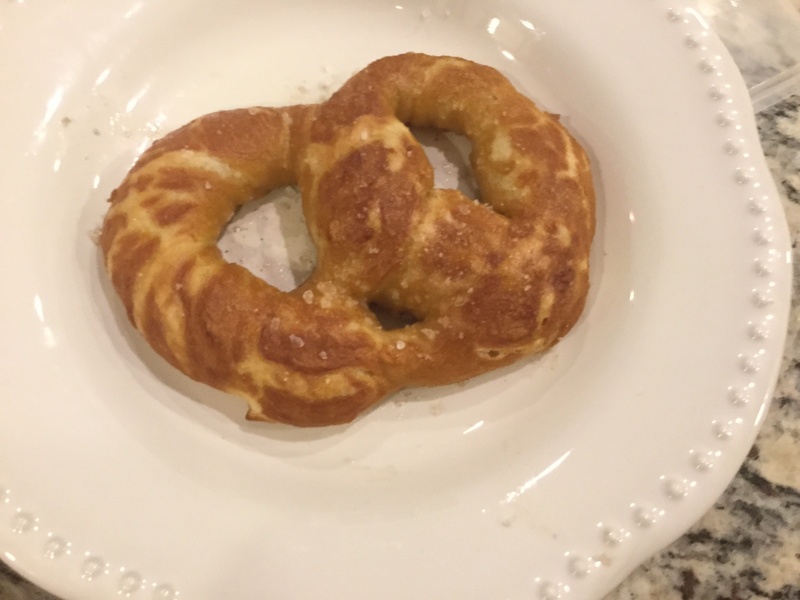 Not only are these pretzels DEEEElicous, but they are super fun to bake! I PROMISE you, you will N-O-T regret making these scrumptious fall treats! 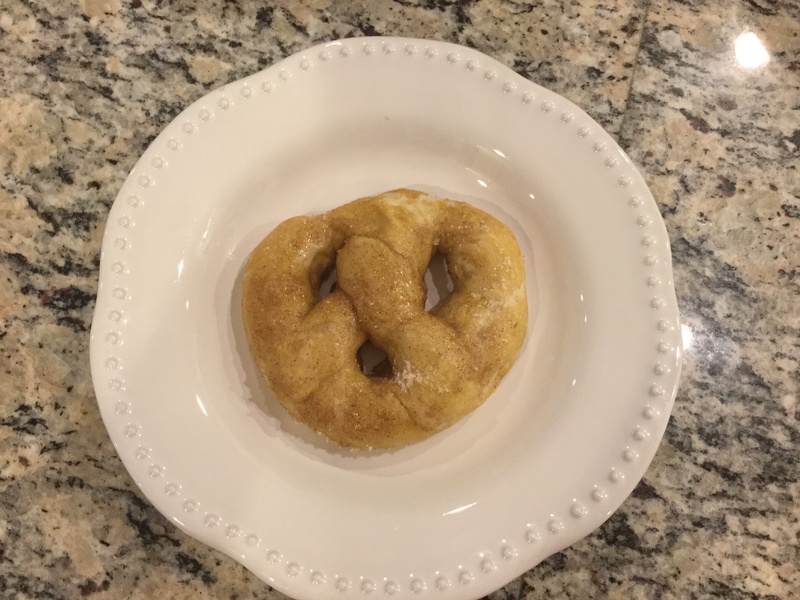 I revised this yummy snack from our favorite blogger Sally McKenney with Sally’s Baking Addiction! If you haven’t checked out her blog, you totally should! She has great recipes and techniques. I hope you LOVE these soft pretzels just like I do! This recipe is adapted from Sally’s Baking Addiction Cookbook. PREP: Preheat oven to 425°F. 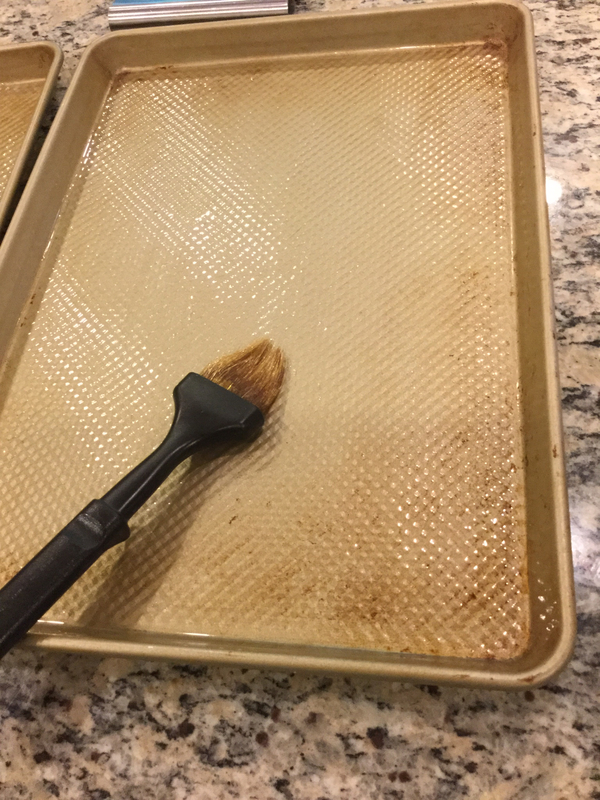 Place parchment paper or silicone baking mats on two large baking sheets. Set aside. MAKE THE DOUGH: Combine the yeast with the warm water in a medium sized bowl. Allow for the yeast to fully dissolve before whisking in the salt and brown sugar. Add the flour slowly, one cup at a time until the dough begins to form. Do not add too much flour, or the pretzels will be too hard. KNEAD THE DOUGH: Place the dough on a lightly floured surface. Knead the dough for 2-3 minutes and shape into a ball. Cut the dough into 7-8 sections with a sharp knife. ROLL THE DOUGH: Roll each section into a 18-20 inch rope; not too thin. Form the rope into a giant U shape. Then take the ends and twist them together toward yourself to create a pretzel shape. BOIL THE PRETZELS: Whisk the large pot of water with the baking soda. Bring to a boil. Place a pretzel onto a strainer and dip into the boiling water until it floats to the top; about 30 seconds. Take the pretzels out of the water and place onto the baking sheet. Repeat with all of the pretzels. BAKE THE PRETZELS: Bake the pretzels for 10 minutes. Mix the sugar with the cinnamon in a small bowl together. Remove the pretzels and brush the top with the melted butter and sprinkle with the cinnamon sugar or salt. Bake the pretzels for another 5-8 minutes, or until their bottoms aren’t raw. Remove from the oven and sprinkle with more of your desired topping. ENJOY! : Serve warm for best results:)! Pretzels will last for up to two days in an airtight container! Please answer the question below! Chips and salsa are like summer in one bite! Which reminds me, where has summer gone? It’s already almost time for, well I’m not gonna say the word. Anyway, today I decided to make homemade tortilla chips and salsa! 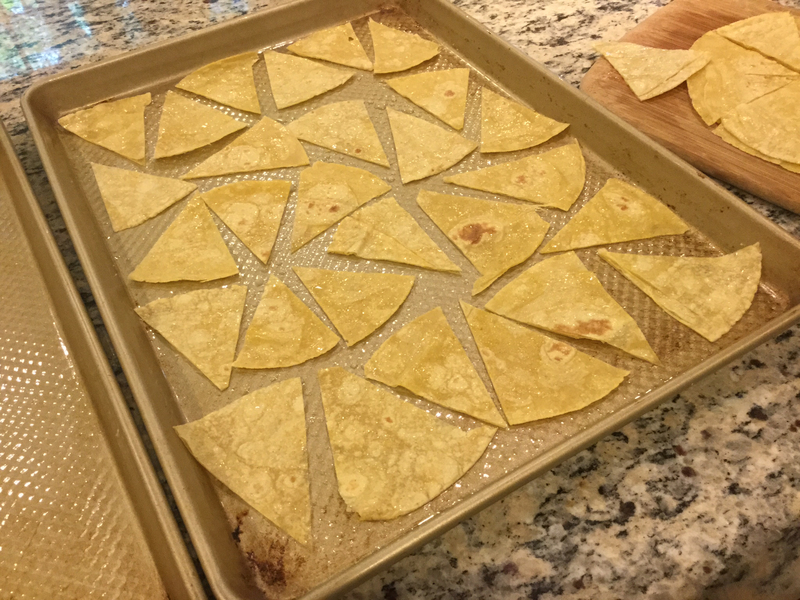 I had never made the tortilla chips before, but I thought how hard can it be? They’re just tortillas, salt, and a little bit of oil, right? 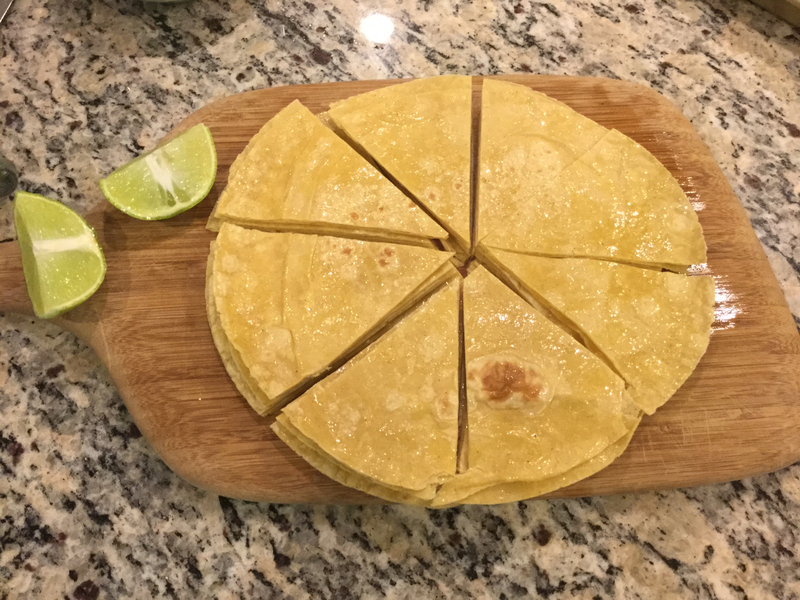 So I set out to find the perfect tortilla recipe, which happened to be at thekitchn.com, but I did tweak the recipe just a teeny bit! 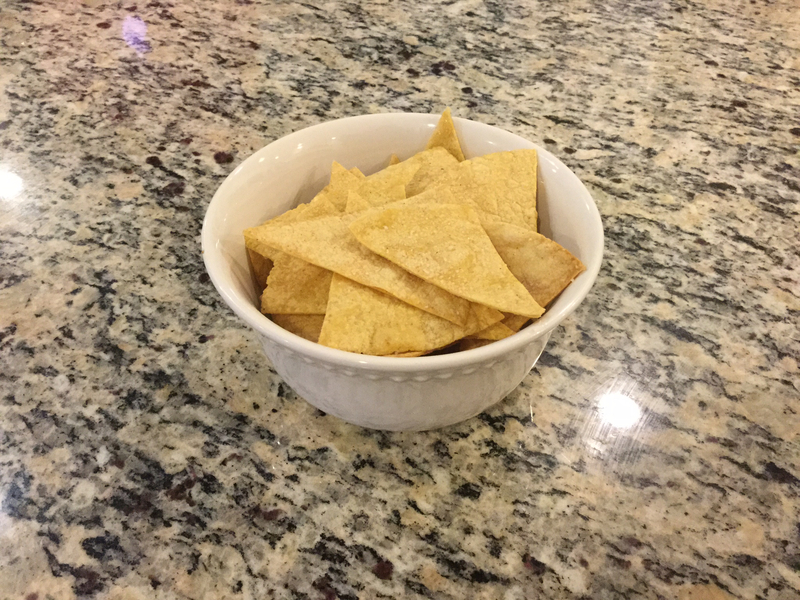 These chips are just soooo good, not to mention soooo easy, so I hope you enjoy! Confession: I have a small obsession with chips, especially tortilla ones. And now, I have a new favorite chip to add to my list. Another bonus to these chips is that they are made with corn tortillas, not flour tortillas. They are so much better for you! Just another reason to make AND eat these chips ;). So enough about these chips, time to talk about the salsa. Yes, I mean the salsa. It is the flawless pairing with these delicious chips! Okay, I think we’ve had plenty of talking, let’s get to cooking this AMAZING snack! Let’s get right to the point, you will not regret making these chips and salsa! They last for up to 5 days stored in an airtight container, but I’m not sure they’re gonna last that long! Yields about 128 chips, and 5 cups of salsa. 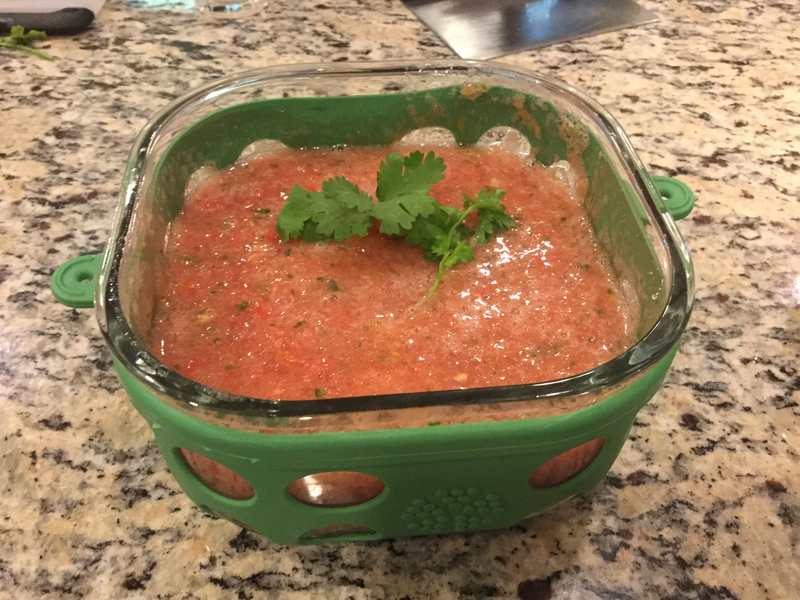 This chip recipe is adapted from thekitchn and the salsa recipe is adapted from Vitamix. PREP: Preheat the oven to 350°F. Lightly brush 2-4 sheets with oil. If you only have two sheets, you will have to do two rounds of chips. OIL THE TORTILLAS: Place one tortilla on a cutting board, and lightly oil. 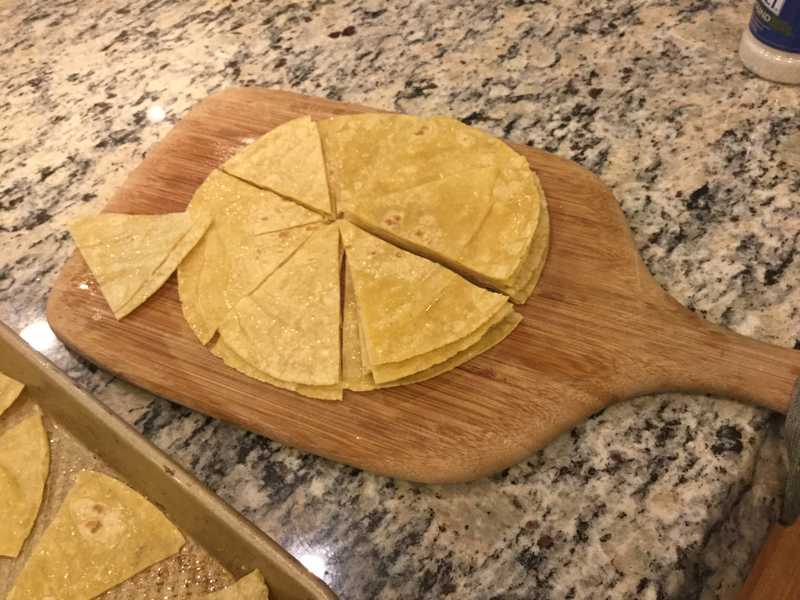 Stack another tortilla on top and repeat the process until you have used all of them (4 tortillas per baking sheet). 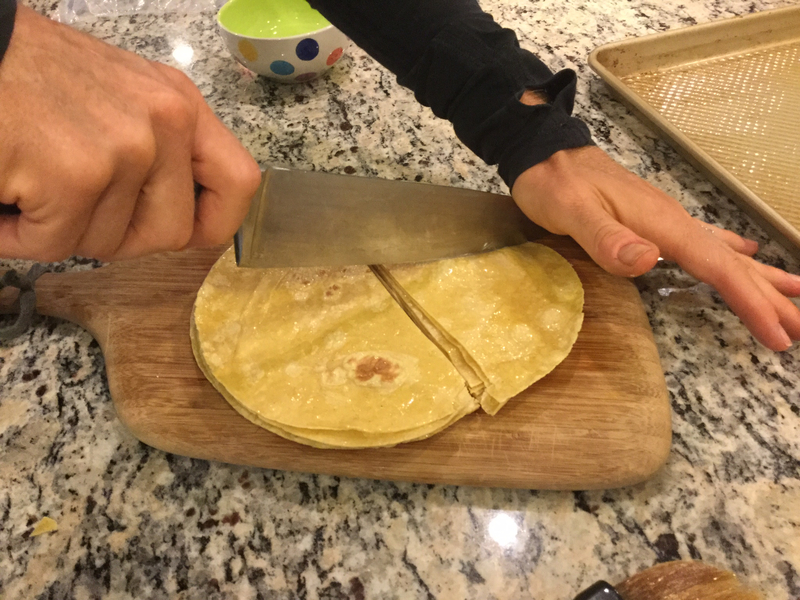 CUT THE TORTILLAS: With a large knife or a pizza cutter, divide the tortillas into eight sections by cutting in half four times. This will give you eight stacks of tortillas. LAY OUT THE TORTILLAS: Arrange the tortilla wedges out on the oiled baking sheets. Lightly sprinkle with sea salt and lime juice, as desired. BAKE THE TORTILLAS: Place the baking sheets in the oven for 10-13 minutes. Check your chips at 8 minutes, and rotate the pans to get an even bake. 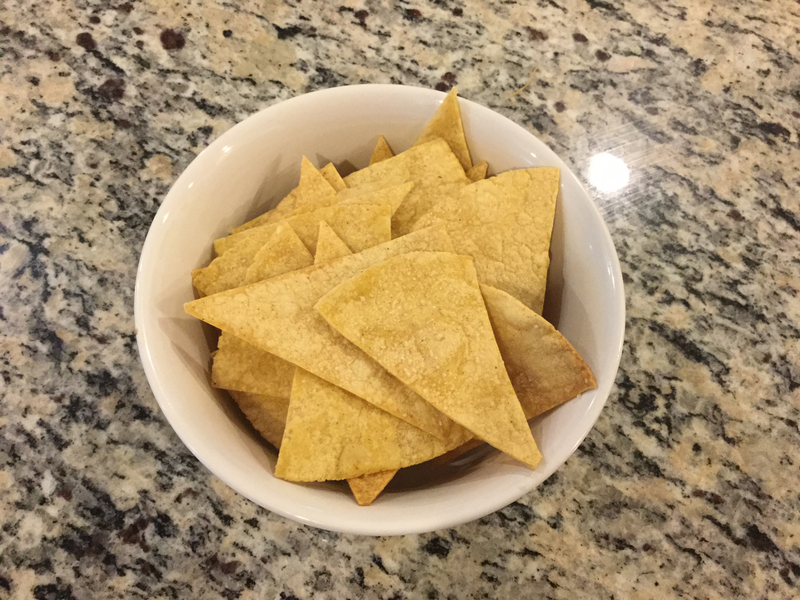 Homemade tortilla chips are likely to have a few brown spots, so be alarmed if you see a few. FINISH: After the chips look done, take them out and allow to cool for about 2-3 minutes before serving. 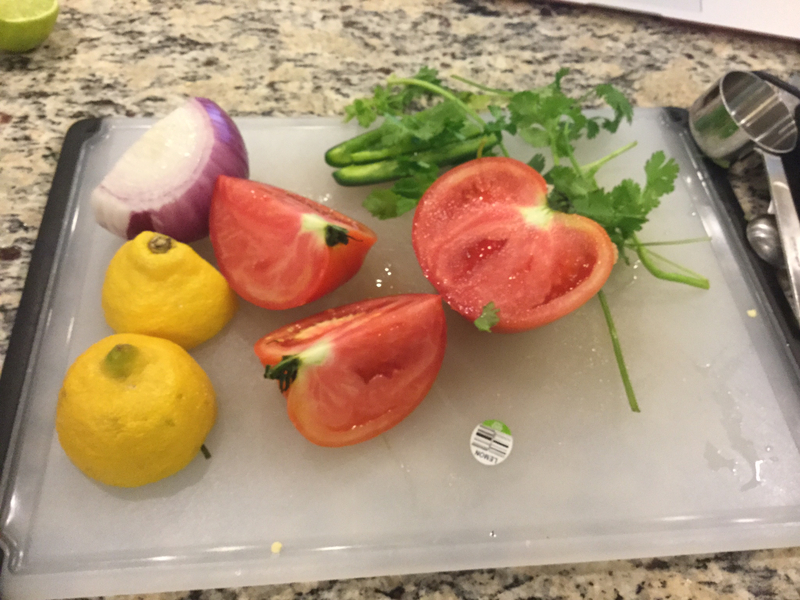 Place the onion, jalapeño, cilantro, lemon juice, salt, and 5 tomato quarters in a blender. Slowly increase the speed to medium and blend for 10-15 seconds before pausing and lightly pressing the ingredients into the blades. 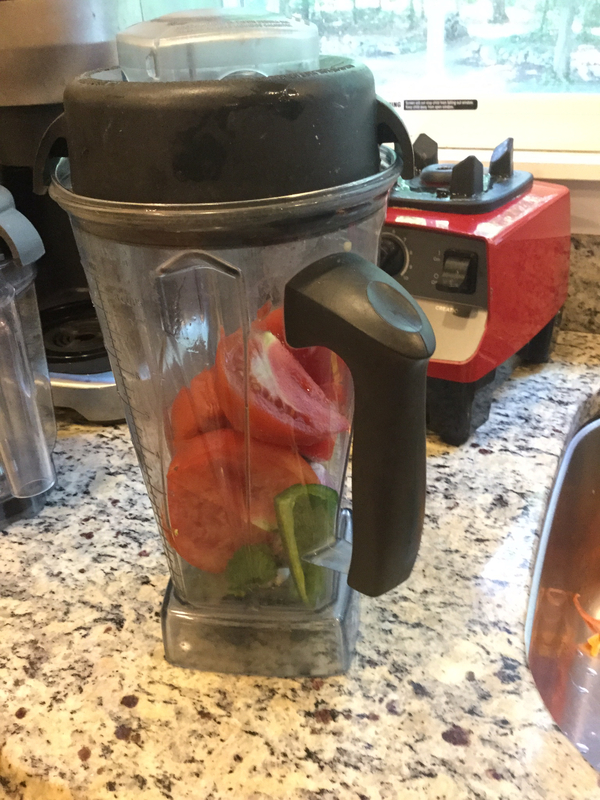 Place the remaining tomatoes in the blender and blend until only small chunks remain, but do not over mix. 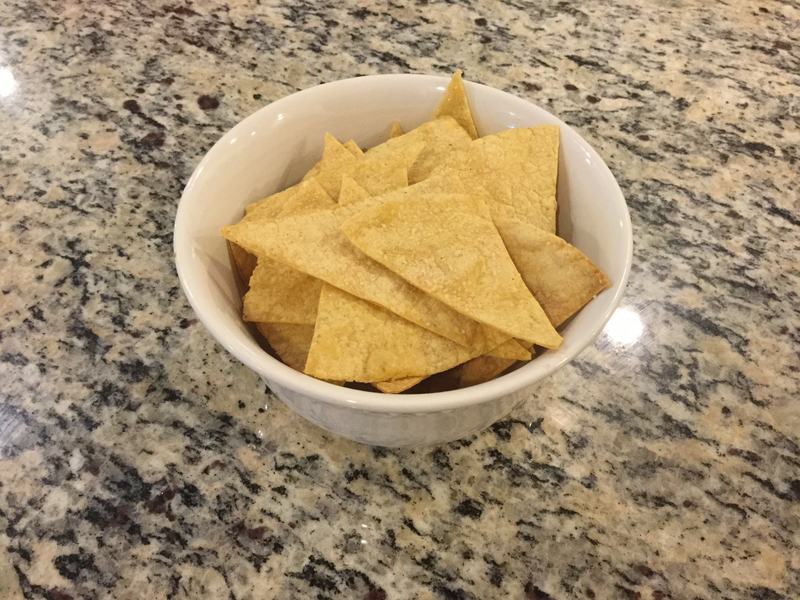 Serve with your yummy tortilla chips!